The performer asks, "Would you like to see the I Hate David Copperfield trick? Do you know why I call it that? Because "I Hate David Copperfield". I actually don't hate him. He's a really nice guy and a great magician... it's just that every time people find out I'm a magician they start comparing me to him. "Can you walk through the Great Wall of China?" "Can you make the Statue of Liberty disappear?" "Do you date a super model?" That last one hurts the most. So I decided to do something Copperfield can't do. A close-up illusion that happens right before your eyes." 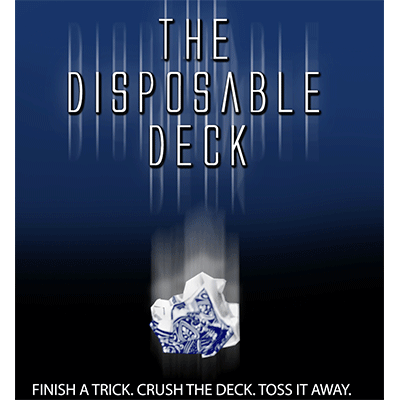 The performer then visibly and cleanly melts one card through another in a manner that looks like trick photography... but live in person, and 3 times! 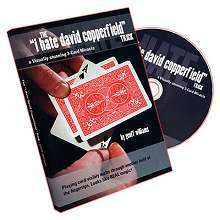 Geoff Williams' I Hate David Copperfield Trick is an ultra-visual, ultra-practical, and ultra-cool handling and presentation for Larry Jennings' wonderful "The Close-Up Illusion" trick. 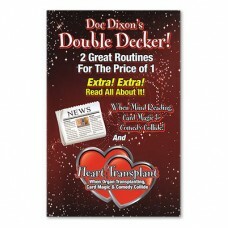 This is a miracle that you will carry with you all of the time and absolutely will blow your audiences away. This looks like real magic...even to YOU as you do it.